It's difficult to overbake a potato. 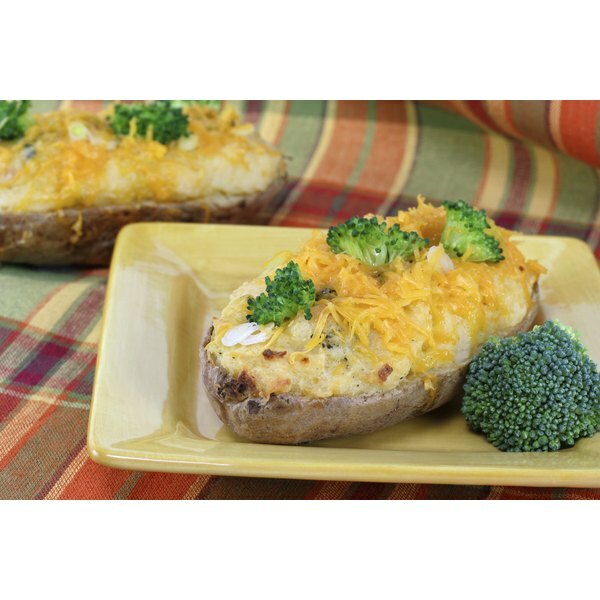 Making a flavorful, fluffy, perfectly baked potato is an easy kitchen project even for novice cooks. Failures are rare because it's difficult to overbake a potato and in fact, some people prefer potatoes baked as long as two hours. However, if you forget about the potato and leave it in the oven for many hours, the result is a shriveled, tough, inedible potato. Oblong potatoes such as russets are best for baking because the higher starch content results in fluffy potatoes. Round potatoes, including red and Yukon gold potatoes, are better reserved for frying or boiling, as the lower starch content allows the potatoes to hold their shape. Select firm, smooth potatoes with no sprouts, green areas, cuts or bruises. Scrub the potatoes with a stiff vegetable brush under cool running water, then dry the potatoes with a paper towel. If you like baked potatoes with crisp skins, coat the potatoes lightly with vegetable oil or melted butter, then sprinkle the potato lightly with salt. For tender potato skins, leave the skins as is. Poke the potato two or three times with the tip of a paring knife or a fork. Otherwise, the potato may explode due to the buildup of internal steam. Most chefs recommend baking potatoes without wrapping them in aluminum foil. Wrapping potatoes in aluminum foil results in baked potatoes that aren't truly baked, but instead, steamed from the moisture trapped in the foil. The result is a soggy potato with a soft, moist skin. 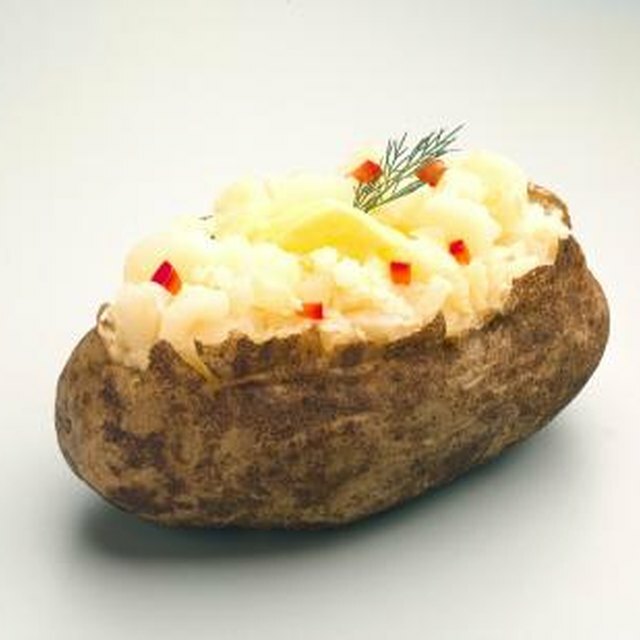 Without foil, baked potatoes have a firm skin and a light, fluffy interior. Bake potatoes in an oven preheated to 350 degrees Fahrenheit. Place the potatoes directly on the center rack of your oven. Bake the potatoes for about one hour. To test for doneness, squeeze the potato lightly to determine if the potato is soft. You can cook the potato for as long as two hours if you like a potato with thick, crispy skin. A potato baked for two hours feels firm when squeezed.